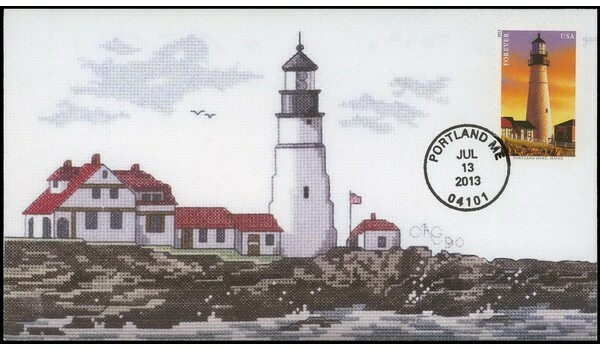 Original counted cross-stitch pattern created by the artist in 1990, then photographed and arranged to fit a custom envelope template, laser printed on 8.5" x 11", Southworth White 32lb 100% cotton paper. Each envelope was cut from that paper using an Ellison Prestige Pro Cutter with a custom 6-3/4 envelope die and hand-assembled. Only 58 were made. 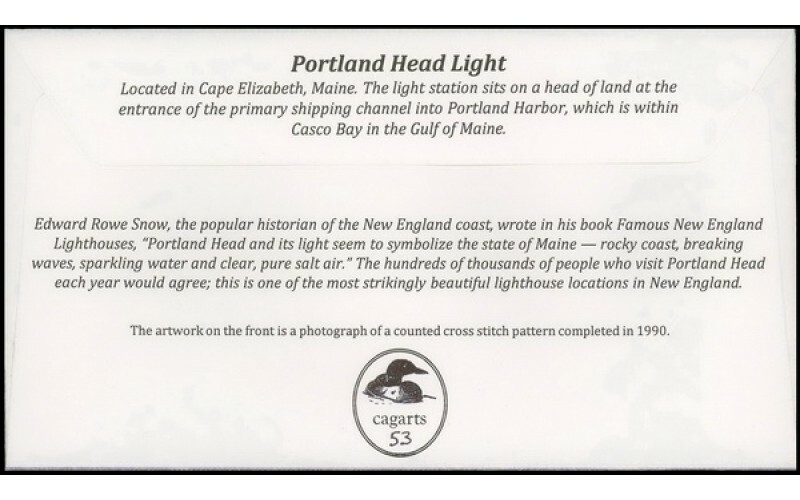 Located in Cape Elizabeth, Maine, the light station sits on a head of land at the entrance of the primary shipping channel into Portland Harbor, which is within Casco Bay in the Gulf of Maine. 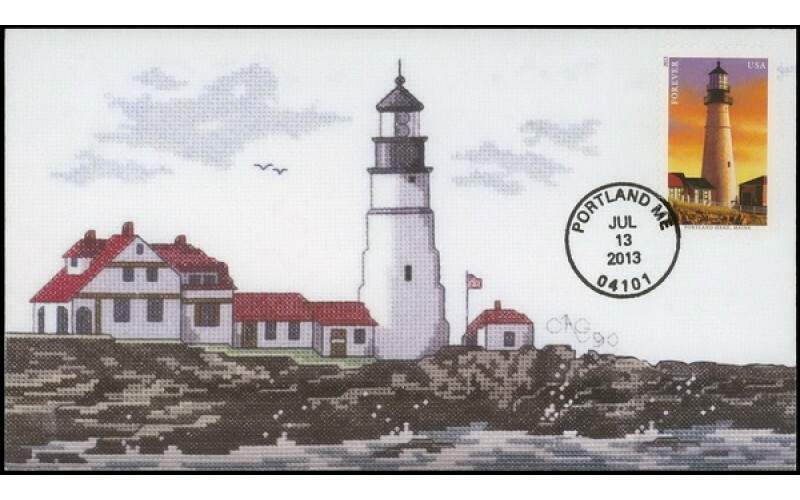 Edward Rowe Snow, the popular historian of the New England coast, wrote in his book Famous New England Lighthouses, "Portland Head and its light seem to symbolize the state of Maine - rocky coast, breaking waves, sparkling water and clear, pure salt air. " The hundreds of thousands of people who visit Portland Head each year would agree; this is one of the most strikingly beautiful lighthouse locations in New England.